SCOTT, GEORGE, army officer; date and place of birth unknown; d. as the result of a duel fought, probably on 6 Nov. 1767, in Dominica. George Scott’s early days are obscure. He was probably not the George Scott commissioned in the army as early as 1721, who was an officer in the Earl of Rothes’ Regiment of Foot (25th Foot), being appointed captain in 1742. 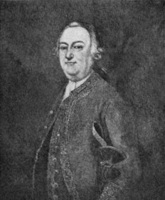 Beckles Willson, Wolfe’s biographer, appears to have believed that George Scott the subject of this article was a son of a Mrs Scott who was a friend of General Wolfe’s mother: Wolfe in 1750 sought support for obtaining preferment in the artillery for a son of Mrs Scott, but without success. It seems unlikely, however, that the son in whom Wolfe rather reluctantly interested himself was George, who in 1750 was already serving as captain-lieutenant in what was shortly to become the 40th Foot, then in Nova Scotia. He had been a captain in the army, as distinct from the regiment, since 1746. 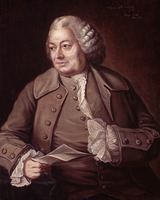 In June 1751 he became a captain in the 40th. Scott appears in the pages of history in the summer of 1753, when he succeeded Colonel Robert Monckton* in the command of Fort Lawrence, on the isthmus of Chignecto a short distance from the French Fort Beauséjour. Some months later he made contact with Thomas Pichon*, a commissary at Beauséjour, who entered into treasonable correspondence with him, betraying much military information. Pichon stated that he had previously met Scott at Louisbourg, Île Royale (Cape Breton Island); what business took Scott there is unknown. Scott relinquished command of Fort Lawrence in the autumn of 1754. Preparations were then being made for an attack on Beauséjour, and he was appointed to command one of the two battalions of Massachusetts troops raised for the purpose, evidently with the provincial rank of lieutenant-colonel. He played a considerable part in the brief siege directed by Monckton which ended with the surrender of Fort Beauséjour by Louis Du Pont* Duchambon de Vergor on 16 June 1755. Although the other Massachusetts battalion, commanded by John Winslow*, was the force chiefly employed in the grim business of the expulsion of the Acadians that followed, Scott’s unit was used in destroying villages (notably Memramcook) that might give shelter to refugees or resisters. When Monckton departed in November Scott was left in command in the Chignecto area. 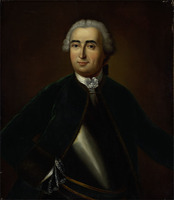 Scott had probably impressed his superiors as a useful commander of light and irregular forces; when the expedition against Louisbourg was planned in 1758 he was given command (with the local or temporary rank of major) of the light infantry unit improvised for the occasion, “a corps of 550 men, chosen as marksmen from the different regiments.” General Jeffery Amherst*’s journal indicates that before the army landed Scott made a daring reconnaissance, going ashore with a party and examining the ground at the foot of Gabarus Bay, which Amherst decided after receiving Scott’s report was an unsuitable spot for landing. When the actual landing took place at the Anse de la Cormorandière (Kennington Cove) on 8 June [see Mascle de Saint-Julhien], Scott, leading his light infantry, was perhaps the greatest hero of the day. His disreputable acquaintance Pichon, the “spy of Beauséjour,” is the authority for the details, describing how Scott maintained a foothold on shore with only five survivors of the initial landing against a much superior French force until reinforced; the anonymous “Journal of the expedition against Louisbourg” in Monckton’s papers confirms that he played a vital part. He continued to be active during the siege that followed, fighting under Wolfe as he had in the landing. 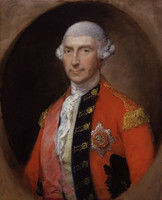 After Louisbourg’s fall Monckton (who had remained at Halifax) was ordered to destroy the French settlements on the Saint John River, and Scott was placed under him in command of a force of light infantry and rangers. On 11 November Monckton detached Scott to the Petitcodiac River to lay waste the settlements there. These orders were thoroughly executed during the following week, many houses being burned, cattle killed, grain destroyed, and some prisoners taken. Most of the inhabitants fled. Scott was given the rank of major in the army effective 28 Dec. 1758. He remained on the list of the 40th Foot as a captain, and evidently was an absentee company commander in the regiment until his death. Scott served under Wolfe in the Quebec campaign of 1759. His chief task was a mission of destruction similar to that on the Petitcodiac. After his defeat at Montmorency Wolfe began a systematic devastation of the parishes about Quebec. At the beginning of September he sent Scott with a force said to have been as large as 1,600 men, including all the rangers and some regulars and seamen, to destroy “the Buildings and Harvest of the Enemy on the South Shore.” Scott sailed down the St Lawrence to Kamouraska and marched back, burning as he came. On 19 September he reported, “Upon the whole, we marched fifty two Miles, and in that distance, burnt nine hundred and ninty eight good Buildings, two Sloops, two Schooners, Ten Shalloops and several Batteaus and small Craft, took fifteen Prisoners (Six of them Women and five of them Children) kill’d 5 of the Enemy, had One Regular wounded, two of the Rangers kill’d and four more of them wounded.” This nasty proceeding meant that Scott and his force were not present for the battle of the Plains on 13 September, in which the rangers might have been very useful. Nothing has been found concerning Scott’s part in the events of the next two years. 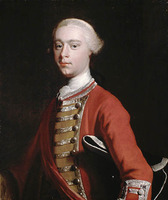 He was appointed lieutenant-colonel in the army on 11 July 1761. At the end of that year Monckton undertook a large-scale expedition against Martinique. Scott had remained on friendly terms with Monckton, and was godfather to his illegitimate daughter. Scott served in the expedition, again commanding a unit of light infantry, which distinguished itself. Martinique surrendered on 13 Feb. 1762 and Grenada, one of its dependencies, on 5 March. Monckton appointed Scott governor of the latter island. Scott made his will there in December 1764, just before leaving to become lieutenant-governor of Dominica. The will reveals that he had acquired (by means that remain unknown) considerable estates in Grenada; it also disposes of property in Boston and Nova Scotia. On a date which seems to be 5 Nov. 1767, in Dominica, Scott added to this will an unwitnessed codicil saying that he had been “grossly insulted” by one Alexander Campbell and was determined to “meet him” tomorrow morning. Attached is a certificate by another officer, dated 9 Nov. 1767, that the codicil is in the hand of George Scott, late lieutenant-governor of Dominica. Presumably Scott was killed or mortally wounded in a duel on 6 Nov. 1767. Scott’s will left an annuity to his wife Abigail and provided for her return to New England, of which she was probably a native. They evidently had no children. The will of 1764 leaves legacies to Scott’s father, three brothers (one of whom, Joseph, lived in Halifax) and three sisters. A purported miniature of Scott is reproduced in Webster*’s Thomas Pichon; it portrays a sharp and rather unpleasant face. Army list, 1740; 1756; 1760; 1761; 1763; 1767; 1768. “Diary of John Thomas,” N.S. Hist. Soc. Coll., I (1878), 1190. Gentleman’s Magazine, 1767, p.525. Brebner, New England’s outpost. Smythies, Historical records of the 40th regiment. Stacey, Quebec, 1759. J. C. Webster, Thomas Pichon, the spy of Beauséjour, an account of his career in Europe and America . . . (Sackville, N.B., 1937). Beckles Willson, The life and letters of James Wolfe . . . (London, 1909). C. P. Stacey, “SCOTT, GEORGE,” in Dictionary of Canadian Biography, vol. 3, University of Toronto/Université Laval, 2003–, accessed April 24, 2019, http://www.biographi.ca/en/bio/scott_george_3E.html.